Established IT organizations are challenged by long software delivery cycles and the complexity surrounding connecting Systems of Record to new Systems of Engagement. Tools, processes and culture typically contribute to prolonged delivery cycles, so IT organizations are moving to DevOps. 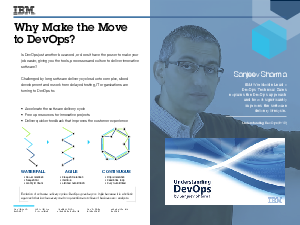 How do you, as a practitioner, address the siloes involved in modern enterprise development and leverage DevOps to make your job easier?